Please read our Terms and Conditions carefully before ordering through our online store. Under the Distance Selling legislation you have an option to cancel your order within 7 days (Cooling-off period) which commences from date of delivery. Please note, it is the customer’s responsibility to ensure the goods are returned safely to us and the customer must pay all postage costs. Please see our returns policy for more information. At soundshop.ie we are committed to protecting your privacy in accordance with the Data Protection Act. We respect your right to privacy and your desire for a secure online shopping experience. We do not sell, trade, or rent your personal information to other companies but in order for us to provide you with the best possible service we require your name, billing address, delivery address (if different from billing address) email address, contact phone number and payment details. 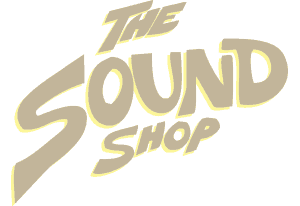 This personal information is used to administer your soundshop.ie website account from point of order through to shipping of your products. From time to time we may notify our customers regarding new products, promotions and newsletters. We will not continue to send you information by email, once you have asked us not to. We have teamed up with Realex Payments to process credit card transaction for our website. Realex Payments employ a system called Secure Socket Layer encryption technology to encrypt your credit card information while travelling the Internet. Soundshop.ie would like to make it clear we do not process or store your credit card details in any way on our website. This is exclusively handled by Realex Payments. • Realex Payments have been accredited with the AIS (Account Information Security) certification by VISA and is one of the few companies in Europe to achieve this. This shows our commitment to above industry standard in every aspect of payment processing. • Information is sent to us from businesses via the internet and we connect to financial institutions with whom we are fully certified and approved. • All information when in transit via the internet is encrypted (128bit SSL) to ensure confidentiality of sensitive data. • All messages sent to us and the responses from us are authenticated using digitally signed digests. • All requests are verified against a legal list of IP address and referring URLs. • Our technical infrastructure is located in secure co-location facilities that have 24×7 manned security and advanced building management systems along with environmental controls. • Critical servers and applications are monitored constantly to threshold levels and Realex Payments staff is instantly alerted via our real time monitoring and alerting service. • All connections to the financial institutions are over private dedicated leased circuits, backed up with ISDN lines and in certain cases VPN connections over the internet. • The network is designed to be highly resilient with duplicate and triplicate systems in place depending on the critical nature of each component. We hope the above examples shows how seriously we take you’re online shopping experience.